The lawyer for the custodial death victim Syed Mohd Azlan Syed Mohamed’s family, M Visvanathan, has urged the Enforcement Agency Integrity Commission (EAIC) to reconsider its decision to withhold its report on the death. He said while the EIAC had cited Section 52(1) of the EAIC Act 2009 in withholding the report, he was of the view that Section 52(1) also allows EAIC officials to exercise discretion to disclose the report in court. Visvanathan said it is important for the EAIC to formally tender the document in court to help the family seek justice for Syed Mohd Azlan. “In the circumstances, we hope that the EAIC would be able to reconsider its present stance and would come forward to assist the family of the deceased to ensure justice is done and that all misconduct be brought to book. “In order to facilitate that, we are open to meet with any of the EAIC commissioners with regard to its EAIC report and how it may be used to assist the family of the deceased in its pursuit of justice,” Visvanathan said in a statement yesterday. Syed Azlan, then 25, had died in the wee hours of Nov 3, 2014, while being detained at a police station lock-up in Sungai Rengit, Johor. The EAIC had investigated the death and reported that it had found 61 wounds on Azlan’s body that were consistent with defensive injuries, and said he had been beaten by police personnel while in custody. Three police personnel - Weddrin Mojingkin, Joshua Perait, and Muhammad Bunyamin - had been charged under Section 304(b) over the death. The case is still pending at the High Court in Johor Bahru. Meanwhile, the family had sued 14 respondents including the trio to claim damages over the death. During a press conference (photo) on Wednesday last week, Visvanathan had slammed the EAIC for turning down his request for the EAIC’s report on grounds that it is a secret. He also asked for the details of the witnesses who testified to the EAIC about Syed Azlan’s death so that they could be subpoenaed. However, the EAIC later denied that the report was classified, but said the information sought by Visvanathan was not part of the report. It added that the report was already made public on Oct 30, 2015. In his statement yesterday, the lawyer explained that he did not intend to ask for the identity of witnesses. “We state for the record that it was never our request for the identity of the witnesses who had given evidence at EAIC investigations as we had already identified and named the relevant defendants in the civil suit. “In the circumstances, the EAIC’s press release of Aug 16, 2018, was therefore erroneous and incorrect,” Visvanathan said. Instead, he said the family requires that someone authorised by the EAIC to formally tender its report in court where the civil proceedings are taking place. Visvanathan said following objections by the Attorney-General’s Chambers, the report has already been tendered in court but was categorised under Order 43 Rule (2)(e) of the Rules of Court 2012 as a document of doubtful authenticity and content. “In such circumstances, it was therefore incumbent for the plaintiff/deceased’s family to bring someone duly authorised from the EAIC to formally tender its report in court during the trial,” he said. 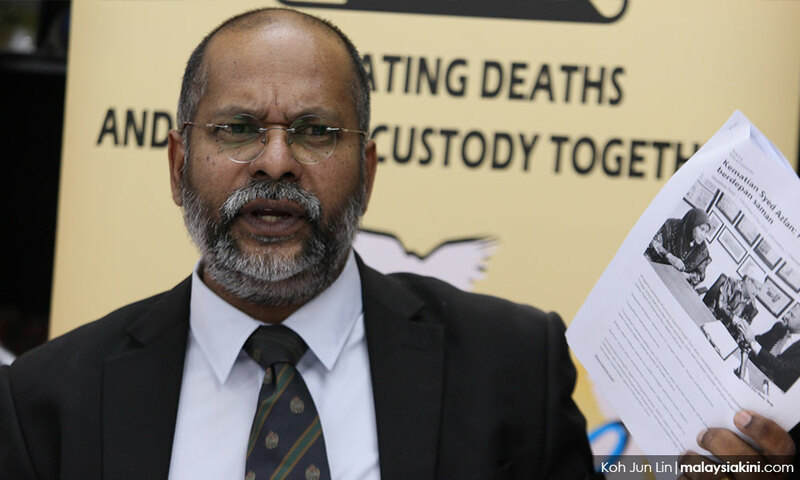 Visvanathan said the present predicament arose because there had been no coroner’s inquest into Syed Azlan's death, despite this being required under Section 334 of the Criminal Procedure Code for any deaths in custody. At the same time, the EAIC had conducted its own investigation into the circumstance of Syed Azlan’s death. Visvanathan argued that death inquiries are beyond EAIC’s scope and are clearly the domain of the Coroner’s Court. Nevertheless, the family still needed to file a suit within the 36-month deadline imposed by the Public Authorities Act 1948. 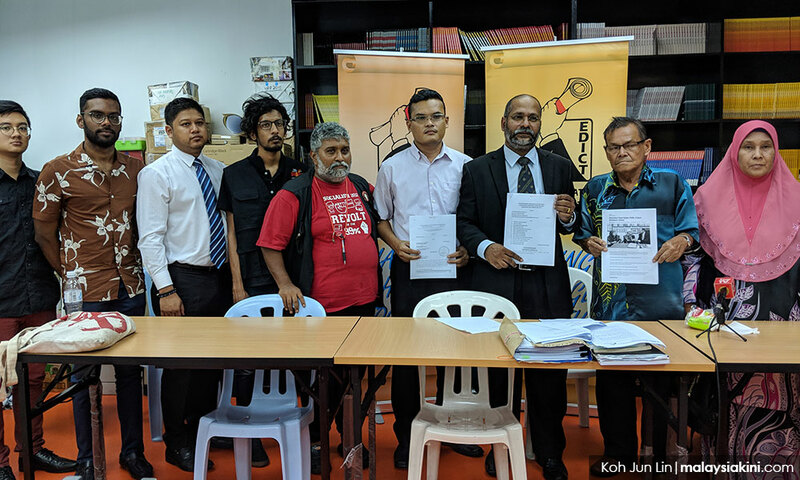 “Since there had been no inquest initiated by the Coroner’s Court nor prompted by the AGC pursuant to the Criminal Procedure Code, the family had no choice but to rely on the EAIC report to establish and prove its civil claim,” Visvanathan said.